The Rose Iron Works, opened in 1904 on Cleveland's east side. 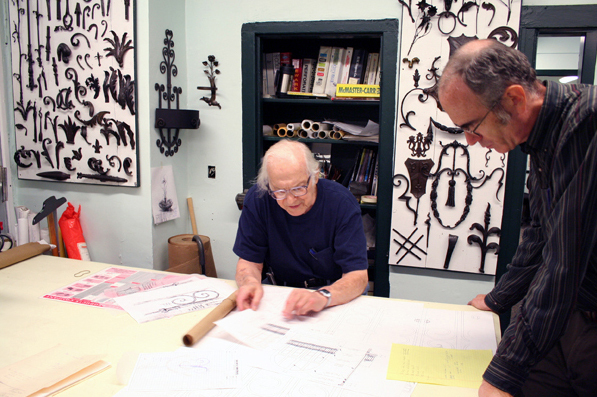 The oldest continually-operating decorative metalwork company in the United States, it was founded by Martin Rose, a Hungarian immigrant who worked in Budapest and Vienna before moving to Cleveland. 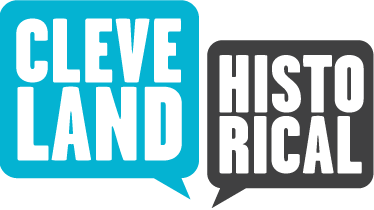 Rose provided craft metalwork that adorned many of Cleveland's notable dwellings and buildings during the height of the city's growth. 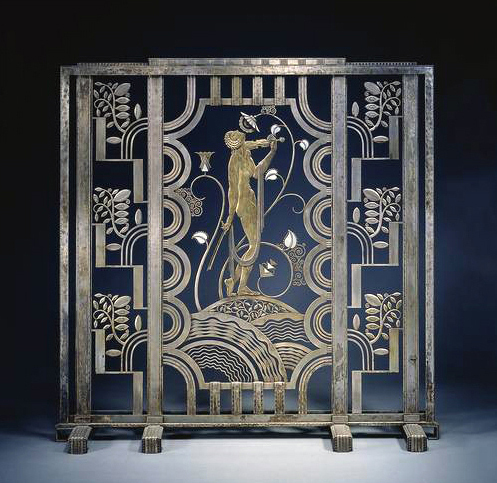 The works included fanciful dividing screens at Halle's as well as the decorative iron gates that guarded many of the Millionaire's Row estates on Euclid Avenue. 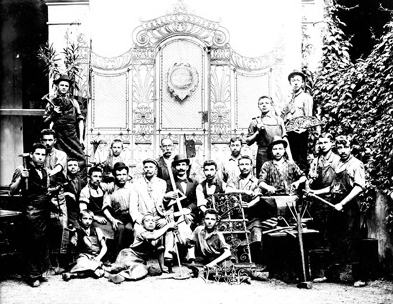 Informed by European ornamental beaux-arts architecture, Rose worked in the tradition of other craft ironworkers such as Samuel Yellin. 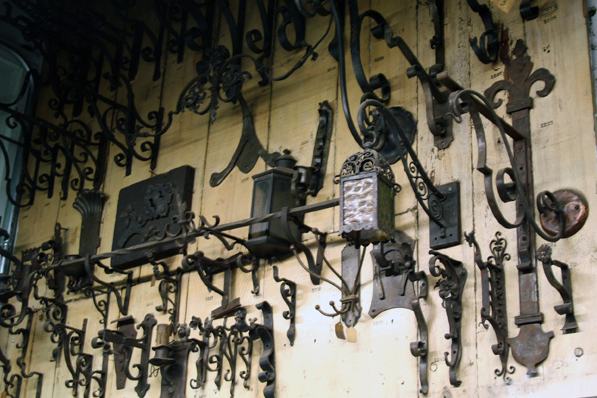 Even as the market for ornamental ironwork began to decline as a result of changing styles and the Depression, Rose Iron Works thrived. 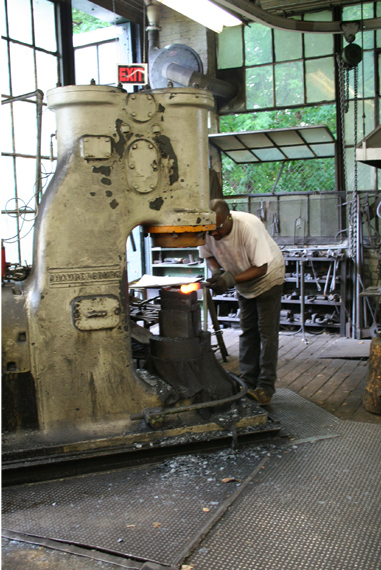 During the 1930s, the Rose Iron Works produced some of the most notable Art Deco ironwork in the nation, including styling recognized internationally for their uniquely American characteristics. 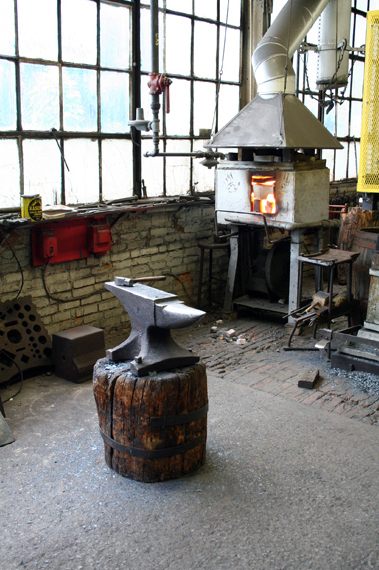 The company turned to the production of industrial products during World War II- an activity that now dominates its business-but it never forsook the craft and metalworking traditions of 19th century Europe. 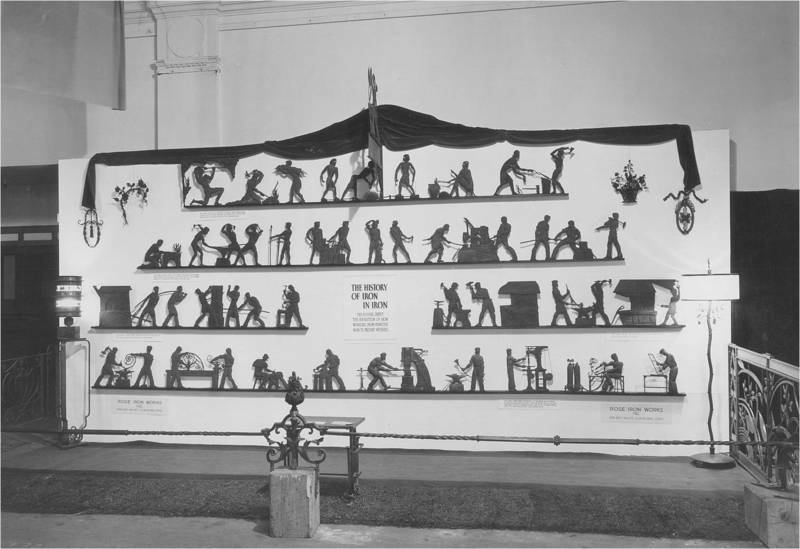 "I don't have blood in my veins, I have rust"
"Anything that can be drawn, can be done"
History of Ironworking: Developed in the 1930s based on Martin Rose's recollections of his training in Vienna, this frieze tells the history of ironworking. 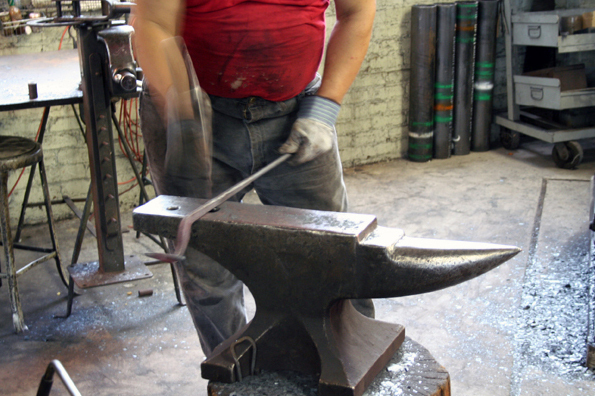 Image courtesy Rose Iron Works. 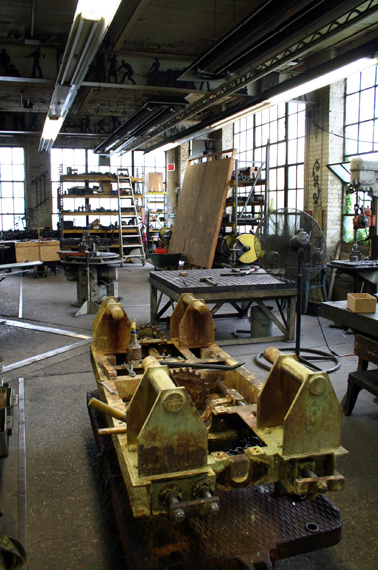 Emma Yanoshik-Wing, James Calder, and Mark Tebeau, “Mel Rose and Rose Iron Works,” Cleveland Historical, accessed April 19, 2019, https://clevelandhistorical.org/items/show/13. Published on Sep 14, 2010. Last updated on May 3, 2017.